We start this Scotland tour from Edinburgh and set off on a journey packed with Scotland’s top-ranked attractions. 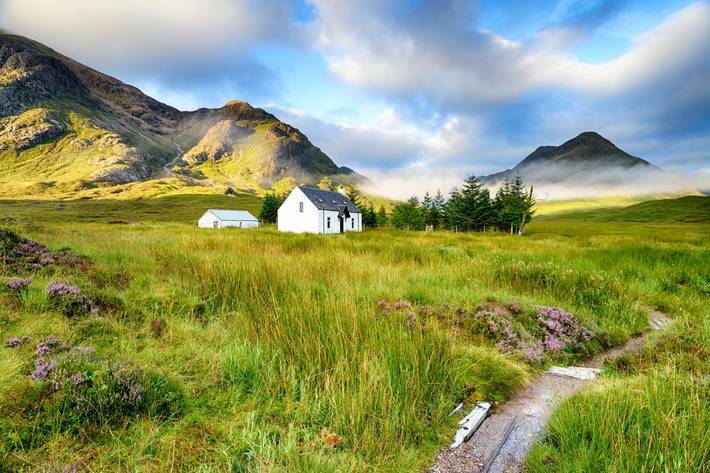 This amazing expedition around the Scottish Highlands features hiking in the spectacular scenery of the world-famous Isle of Skye, stunning hills of Glencoe, known from James Bond “Skyfall” movie. You will walk along the corridors of Eilean Donan Castle, try to spot "Nessie" in Loch Ness, taste local whisky in Talisker Distillery and see a lot more incredible places that are awaiting to be explored by you. 8:00 Departure from Fort William. 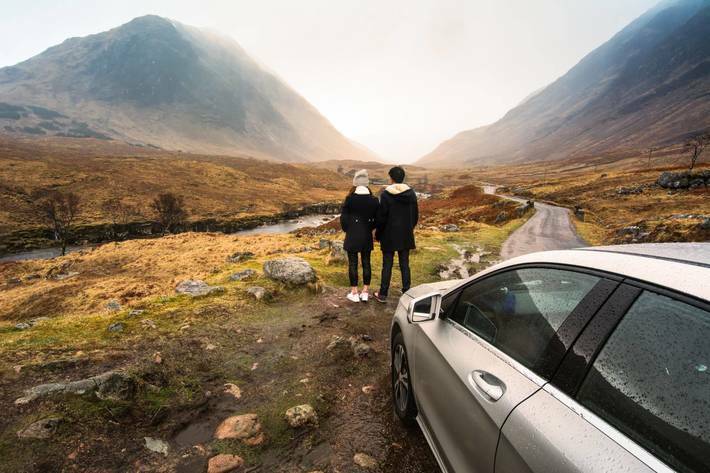 A 2-hour drive to Glen Etive - a picturesque Glen where Skyfall was filmed, during which you will see how narrow a rural single-track road in Scotland can get. You will fall in love with the stunning scenery and see the places that appeared in word-famous films. Trip to Loch-Ness with a quick stop at Fort Augustus - a gateway to the world-famous lake. Visit of Urquhart Castle the remnants of which overlook Loch Ness. 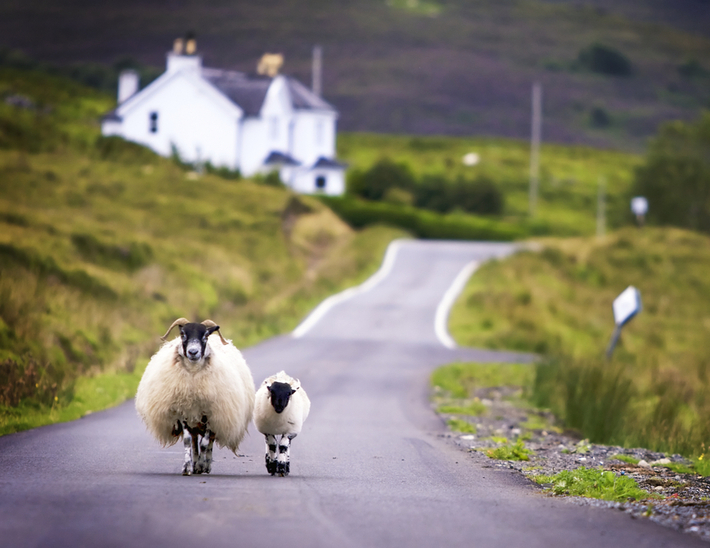 Transfer to a cottage near the Isle of Skye. Check-it at the cottage. Discovering the Isle of Skye. Visiting Dunvegan Castle and its Gardens. It is believed that the castle is the oldest inhabited castles in Scotland, as the first MacLeod clan representatives settled down here some 800 years ago. If we are lucky with the weather, we sill set off on a seal boat trip from the castle. We will finish the day by further discovering the northwest part of the island. We'll take a hike to Neist Point with its famous lighthouse - the westernmost lighthouse on the island. Afterwards we'll walk to Claigan Coral Beach that for a moment will make you doubt you're in Scotland. Visit Portree - the capital of the island with its picturesque bay and swaying boats. Trip up north of the island. Stop by the Old Man of Storr (the highest summin on the Trotternish mountain range) - one of the most photographed places in the world and one of Britain’s best views. A stop a Kilt Rock - a picturesque cliff with a waterwall that drops directly into the ocean. We will also try to spot dinosaur footprints that are not far from Kilt Rock. Visiting Skye Museum of Island Life where you will find a collection of historical articles and get an insight into the lives of local people in the 19th century. Weather permitting, we will take a short hike to Fairy Glen - a place with mystical mounds and flamboyant greenery where magic lives. Isle of Skye - the final part of the island adventure. 10:00 visiting Eilean Donan Castle - one of Scotland's iconic castles the pictures of which you can spot on postcards, magnets and brochures about Scotland. No wonder, as it's the most often photographed caste in the whole country. Transfer to the Isle of Skye. Talisker Whisky tour during which you will see how whisky is made at the only remaining distillery on the island and will get to taste water of life with a distinct peaty and smoky taste. Don't worry, being tipsy won't affect your perception of the Quiraing - an unearthy geological formation that appeared as a result of soil slide. We will take a hike to the Quiraing which is not demanding, but is very rewarding when it comes to the views you will see. We'll start a return trip to the central Scotland. 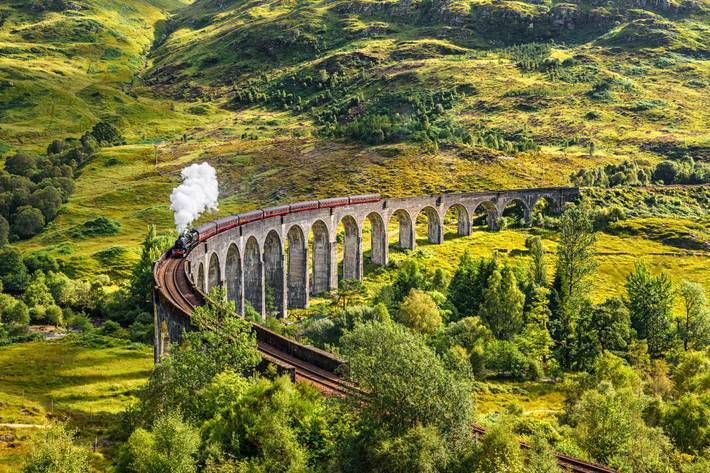 Our journey will begin from a ferry ride from Armadale to Mallaig following which we will stop at Glenfinnan Viaduct - a scenic place that was filmed in Harry Potter when the main character travelled to Hogwarts on Hogwarts express. 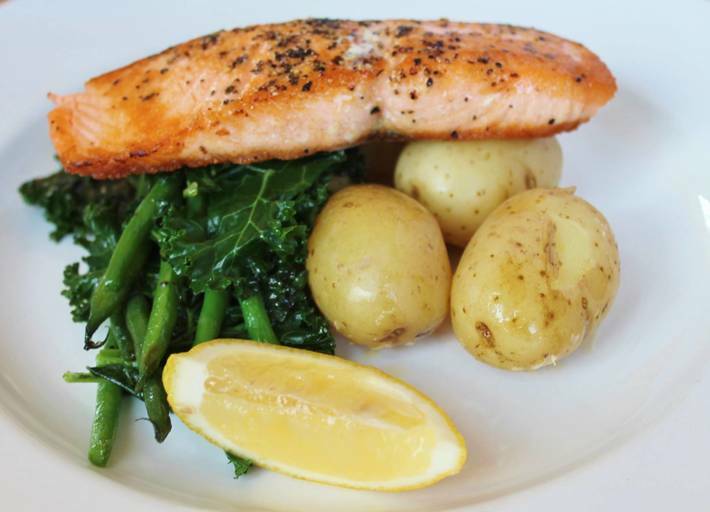 Before arrival to Glasgow we will make a short visit to Oban - a seaside town and Scotland's capital of seafood, where you can order some freshly-caught fish for lunch. Transfer to Glasgow. Check-in at the hotel around 18-19:00. Evening stroll around the city. Souvenirs time, acquaintance with Glasgow, walk on Buchanan street. Those departing in the afternoon/evening can wander around Glasgow in the morning and see such landmarks as Buchanan street, George Square, Glasgow Cathedral, etc. Transfer to Edinburgh ariport at 12:00. Scottish West Highlands is the area located in the north-west part of the UK that for many people is the essence of what true Scotland is like. Its spectacular landscape full of moors, mysterious mountains and deep lochs proves the power of nature and gives you the feeling of real remoteness. Add to this picture many wonderful castles, traditional croft cottages with sheep around, amazing wildlife, delicious seafood, internationally renowned taste of whisky and hospitable people – then you will realize why a lot of people imagine Scotland to be just like the Highlands. The best way to explore it is to hike and drive around to see as much jaw-dropping views as possible during your stay. Discover the very best of this amazing region - Glencoe, Isle of Skye and Loch Ness are well worth it! 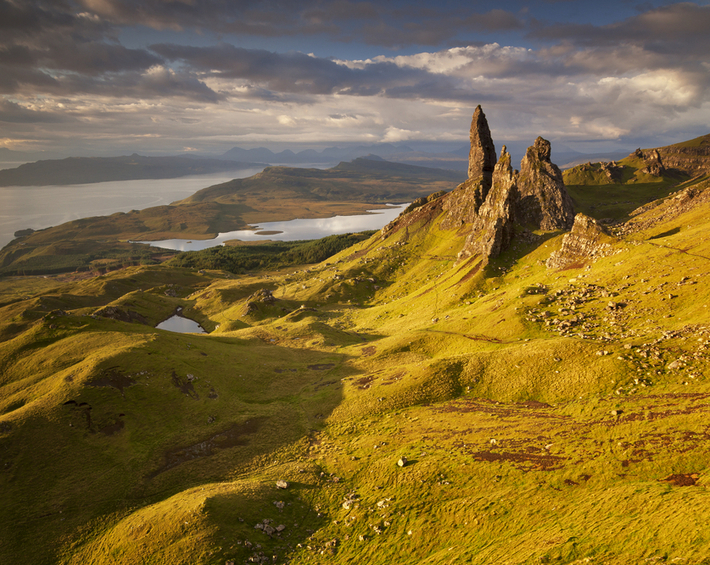 Explore kilometers of remote beauty on some of the best hikes in Scotland, including the Quiraing, Neist point with its lighthouse and the Old Man of Storr. On our trips to Scotland discover the country's best treasures from the crowded Royal Mile in Edinburgh to seals lounging around on the rocks near Dunvegan castle. See wonderful locations in the Scottish countryside where Skyfall (Glen Etive), Harry Potter (Glen Coe, Glenfinnan viaduct), the Highlander (Eilan Donan castle) and The Braveheart (Glen Coe) were filmed. Experience 4 seasons during just one day. 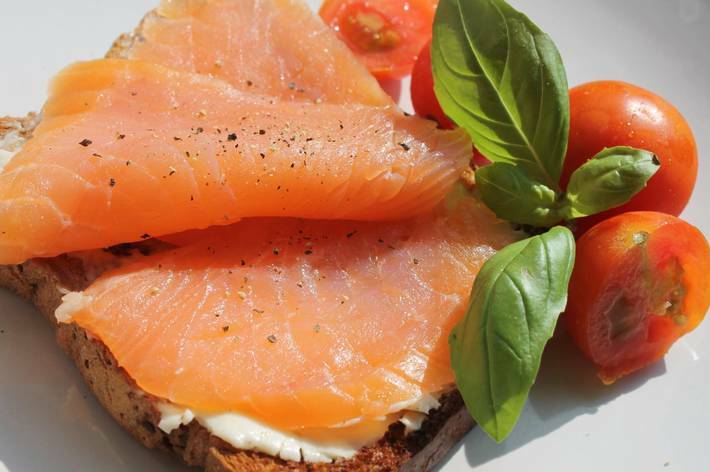 Feast your taste buds while trying finger-licking seafood and whisky tasting on our private tours to Scotland . Try to spot the elusive Nessie. 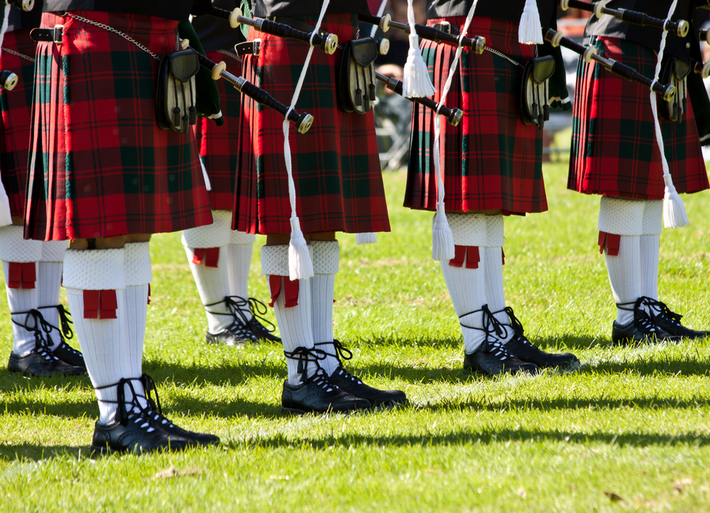 Visit medieval castles and much more while discovering the best of the Scottish Highlands! "Every valley has its battle, and every stream its song."